When the U.S. government began dropping the hammer on American tobacco companies, these corporations became alarmed that their prospects for long-term survival might be no better than it is for the people who buy their products. Their response was to redirect their marketing efforts toward foreign countries where the governments don’t regulate the sale and use of these little white cancer sticks. The plan worked and, today, an enormous percentage of the profits made by “Big Tobacco” are generated by cigarette sales in foreign countries. Now, another American institution faces a similar situation and embraces the same response. 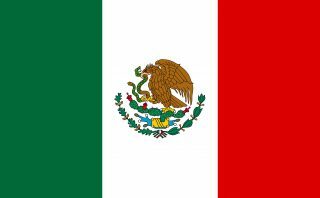 If all goes as predicted, Mexico will soon legalize abortion and become a full-fledged participant in the most prolific holocaust the world has ever known. To bring this about, the Mexican abortion lobby has regurgitated the same collection of lies and distortions that their American counterparts have used over the last 40 years or so. They clearly operate on the assumption that Mexican politicians are as stupid, corrupt, immoral and cowardly as American politicians and the results show that the assumption is not unjustified. 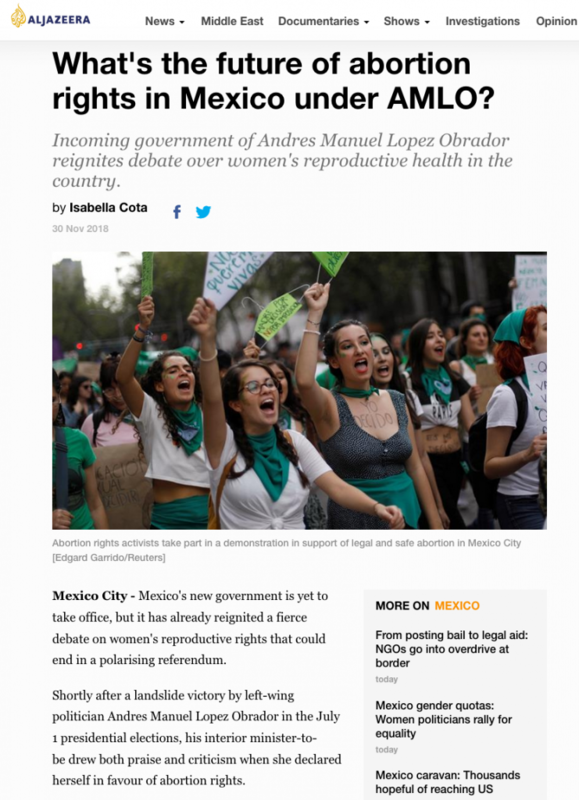 Interestingly, pro-life forces in Mexico are complaining that a major reason why they are losing is because American pro-abortion groups are on the ground there working around the clock to get abortion legalized. They say there is also a significant amount of money flowing from the U.S. into this political effort. The question is: why? After all, “Big Abortion” is sending out fundraising letters all across America warning their followers that Roe vs. Wade is about to fall and that the end of legalized abortion in America may be on the horizon. If that is true, shouldn’t these organizations be concentrating their efforts at home rather than pouring valuable resources into another country? Or perhaps there is another dynamic at work here. I have fought the American abortion lobby for many years and if there is one thing I have learned about these people it is that everything they do is driven by self-interest. If you don’t know anything else about the abortion battle now raging in Mexico, know this: the only reason the American choice mafia is there is because they have concluded that there is something in it for them. Fortunately, it is not that hard to figure out what that something is. Ten years ago, when Bill Clinton was in office and the “right to choose” looked safe, Canada and Mexico were not on the abortion lobby’s radar screen. But now they see this “right” being threatened and a back-up plan has been launched. I have long predicted that when America returns legal protection to the unborn, the American abortion industry intends to set up a network of abortion clinics along the borders just inside Canada and Mexico. Of course, Canada poses no threat to this plan since, as improbable as it may seem, the Canadian government is actually more godless and morally bankrupt than the U.S. government. That means the only obstacle has been the fact that abortion is illegal in Mexico. That is what this battle is about. Mexico is the missing ingredient in the American abortion industry’s contingency plan. The fact is, the Mexican government is being played for a fool. The legislation they are about to enact will not only result in the wholesale slaughter of Mexican children by the millions, but it will turn Mexico into a dumping ground for the moral decay that is already rotting the United States. So while America would never tolerate this sort of intrusion against us, American death merchants are going into Mexico to do that very thing. You can bet the family farm that if Mexican pro-life groups tried to come into the United States and influence our current legislative effort to outlaw abortion, the American pro-choice groups now in Mexico trying to influence their political process would be the loudest screamers. They would be the ones on the evening news every night with beet-red faces and bulging veins bellowing that the United States doesn’t need advice from Mexicans about how to run our affairs. One of the great ironies here is that Mexico has always prided itself on having abolished slavery many years before the United States. They will also point out that they did not need a bloody civil war to right this wrong. But today, whatever moral superiority Mexico might legitimately claim over that issue is being flushed down the toilet. The American abortion lobby is manipulating the Mexican political process to turn this once proud nation into the abortion capital of the western hemisphere. And once that happens, they will pour millions into the pockets of Mexican politicians to see that it never changes. The inevitable result will be that the United States will be able to sit back and show the world that we are too good to tolerate the evil of abortion, while a steady stream of American women pour into Mexico’s death camps. It’s called naked exploitation and it is the mother’s milk of pro-choice politics.